Custom Ornamental Iron Works Ltd. is one of North America's largest producers and distributors of wrought iron, ornamental iron, cast iron, and aluminum gate and stair parts and accessories. For over 35 years, we have offered an extensive line of wrought iron and ornamental iron products such as post caps, balusters, railings, and other ornamental iron and aluminum items. Our highest standard, beautifully-crafted products are manufactured in house and distributed across North America. If you are looking for stair parts, you have come to the right place. 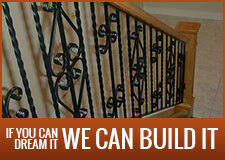 Balusters do not have to be mainstream. We have many different styles available to our customers. Whether you are looking for traditional, modern or simply unique we have it all! Remember, we can do custom orders as well! Custom Ornamental Ironworks has many parts including decorative post caps. We carry pyramid post caps, ball post caps, and even pineapple caps. These look great for your outdoor Ornamental Iron Railings needs and even for exterior gates. We have many stair parts for sale, its just a matter of looking through our website and comparing all of our products and making your final decision. 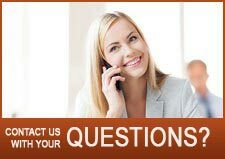 Feel free to give us a call for additional assistance to any questions you may have. When you buy from CustomIronWorks.com, you can feel confident that you’re receiving the most competitive prices and superior quality. 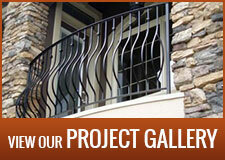 We can custom-make virtually any wrought iron design to suit your specifications. Custom Ornamental Iron Works can fulfill all of your functional and aesthetic iron and aluminum needs.